Through the essays in this volume, we see how the failure of the state becomes a moment to ruminate on the artificiality of this most modern construct, the failure of nationalism, an opportunity to dream of alternative modes of association, and the failure of sovereignty to consider the threats and possibilities of the realm of foreignness within the nation-state as within the self. 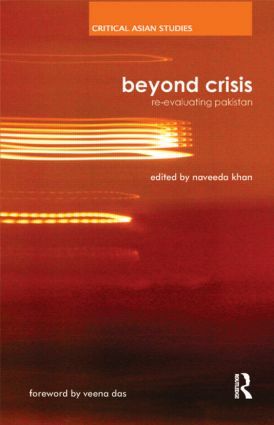 The ambition of this volume is not only to complicate standing representations of Pakistan. It is take Pakistan out of the status of exceptionalism that its multiple crises have endowed upon it. By now, many scholars have written of how exile, migrancy, refugeedom, and other modes of displacement constitute modern subjectivities. The arguments made in the book say that Pakistan is no stranger to this condition of human immigrancy and therefore, can be pressed into service in helping us to understand our present condition. Naveeda Khan is assistant professor in the Department of Anthropology at Johns Hopkins University. She received her masters in anthropology from the New School for Social Research in 1995. She completed her Ph.D. in anthropology from Columbia University in 2003, writing her doctoral dissertation on how sectarian violence is folded into everyday life through processes of mosque construction and violent seizures in Lahore, Pakistan. She is currently completing a book manuscript titled 'Muslim Perfectionism: Sectarianism and The Passage of a Promise in Pakistan'.